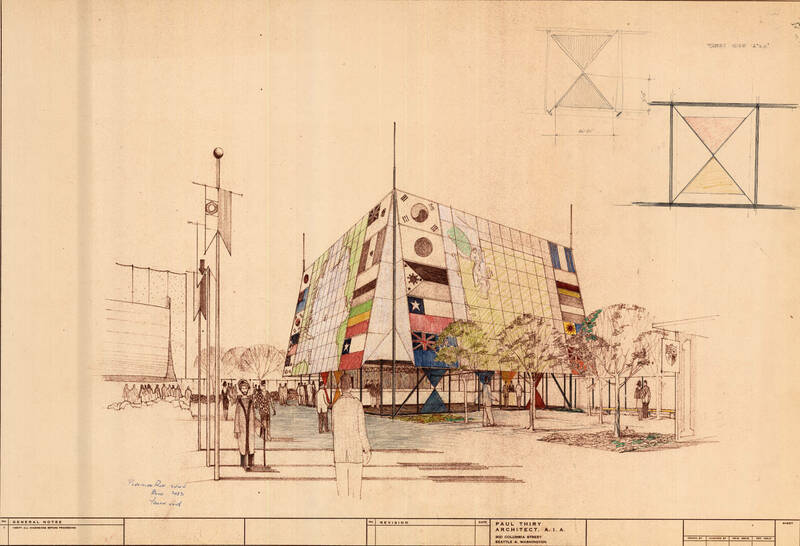 "In 1957 Paul Thiry, one of Seattle's earliest practitioners of European Modernism, was appointed principal architect of Century 21, the 1962 Seattle World's Fair. 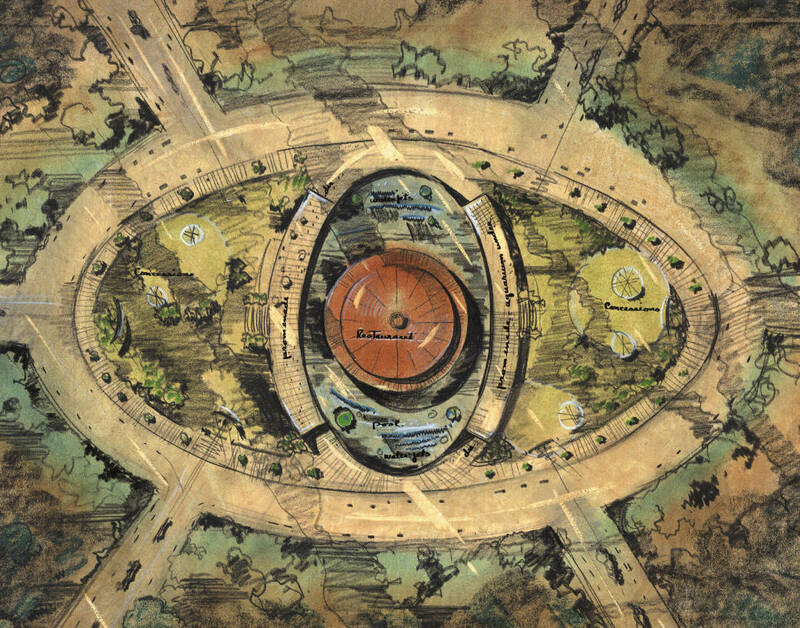 The Ford pavillion, part of the Triangle of the Future, was located near the south gate on Boulevard 21. Under its geodesic dome, visitors were entertained by a simulated flight to outer space in a model rocket ship. An auto show was also part of the attraction at the pavillion, where the Ford Motor Company displayed some of the consumer products it had in development." 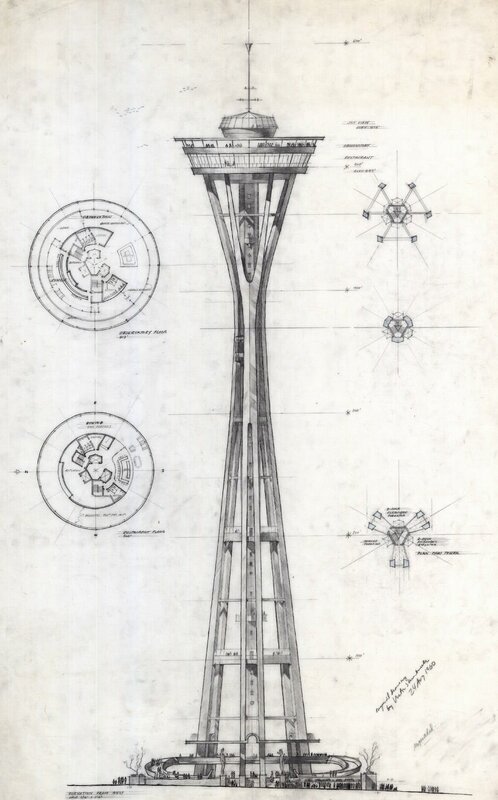 "This drawing shows a preliminary design of an observation tower and restaurant for the 1962 Seattle World's Fair Exhibition. Set on the only section of the fair grounds that was not owned by the city, the site did not have the height restrictions of other exhibits/pavillions at the fair. The lot, 37-by-37 m, was purchased by private investors for $75,000 and is still privately owned. 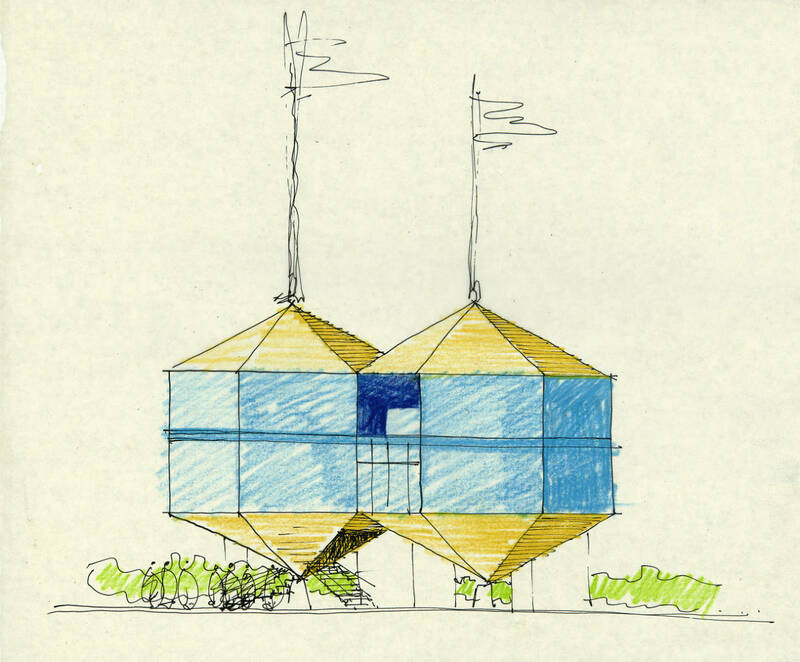 Although there is much contention surrounding who came up with the final design of the Space Needle, John Graham is widely acknowledged as its architect." 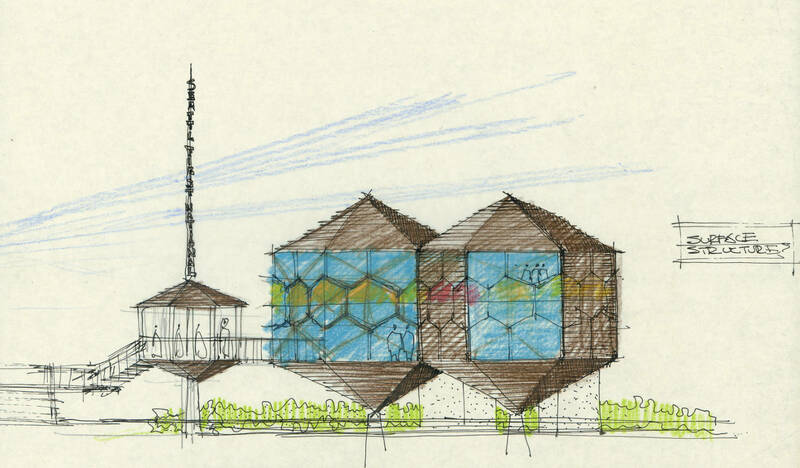 "The Nalley's Fine Food pavilion was a plastic form shell pneumatically applied on a frame of reinforcing rods and metal lathe. 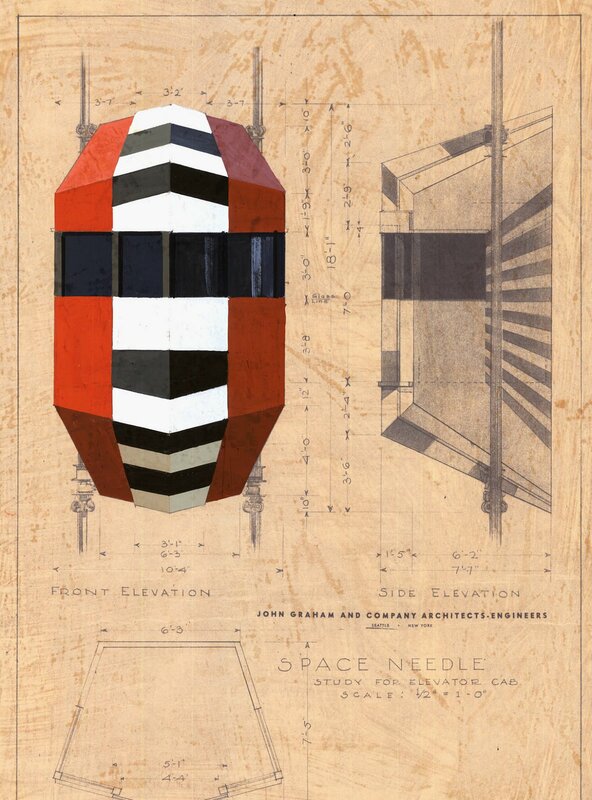 The exterior of the pavilion was constructed without a straight line or sharp angle. The unique oval contained a theater which showed movies of the great Pacific Northwest. In the lobby of the building were displays of the food products from Nalley's Tacoma-based company." "The Century 21 Branch of the Seattle First National Bank was located at the north-west corner of the Friendship Mall. It featured a canvas awning stretched over a steel frame decorated with the flags of the participating nations." I've been toying around with Google alerts (a regular automatic search in news/blogs/websites) the last couple of months with varying outcomes. I nearly stopped the weekly emails in February when a 1997 website was included with 'new digitial collection' search results. But they do add a certain lazy randomness to my trawling habits. 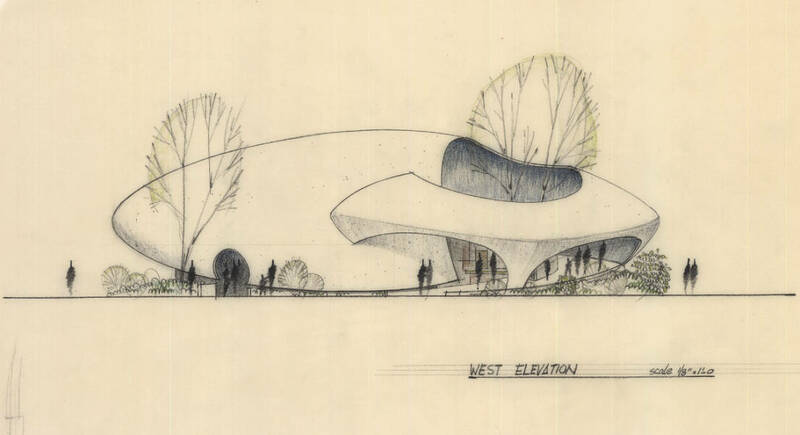 In this case I was directed to the Century 21 Exposition design plans for the 1962 Seattle Worlds Fair that belong to the Architecture of the Pacific NorthWest Database at the University of Washington. 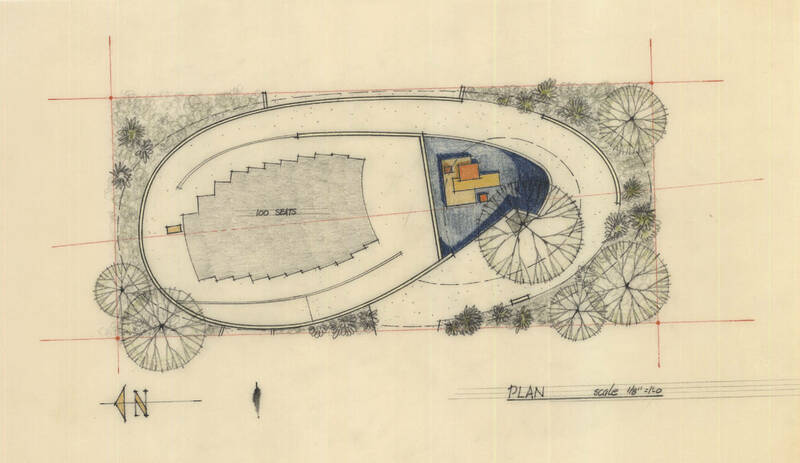 I was nearly sure I could see Kurt Russell among those uniquely architectural 2-D figures in the Ford Pavillion sketch plans. The descriptions included above are copied from the site but seem not always to be totally accurate for each of the illustrations. 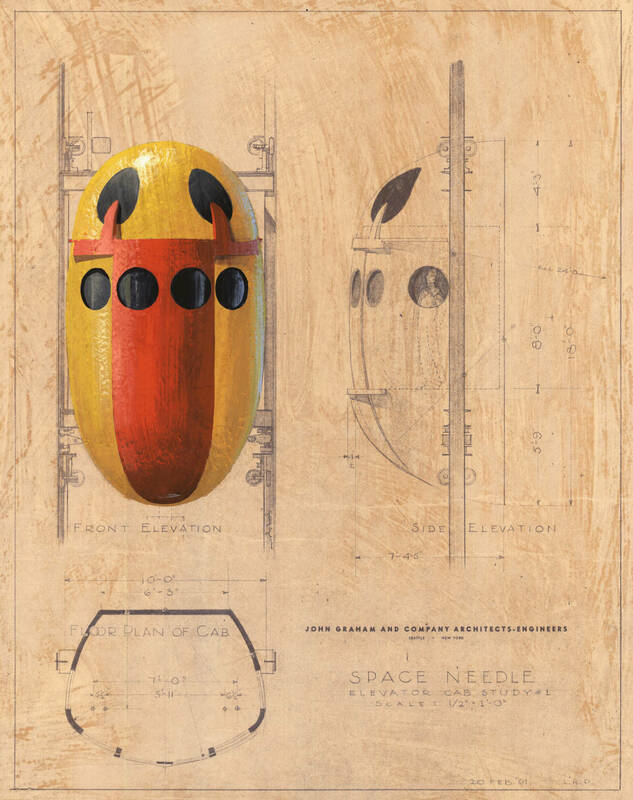 'Observation deck' and 'site plans' are favoured terms. I had to play around with the image URLs to get complete large illustrations. 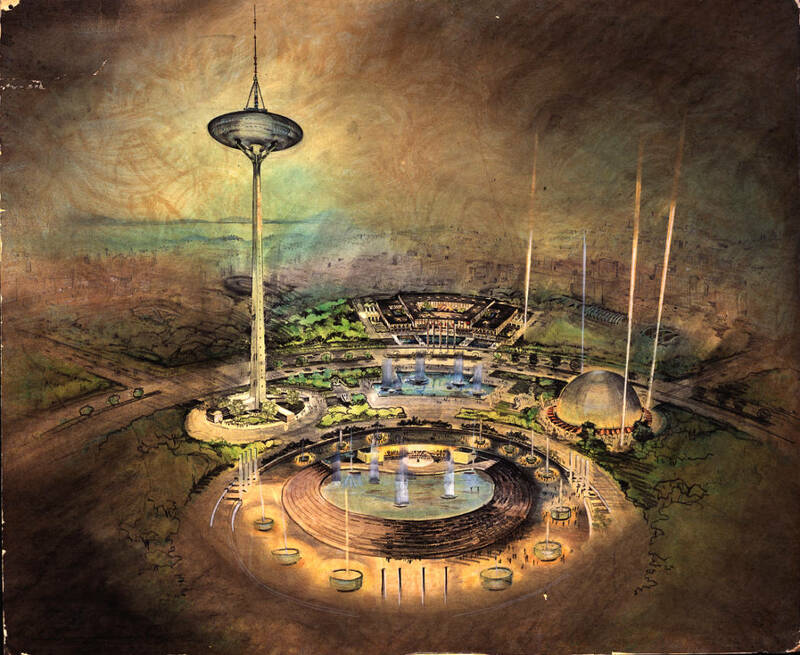 Century 21 -- The 1962 Seattle World's Fair: Part 1 and Part 2. Century 21 'Forward into the Past' CyberTour. 'A Fair To Remember' - Seattle Center at 40. 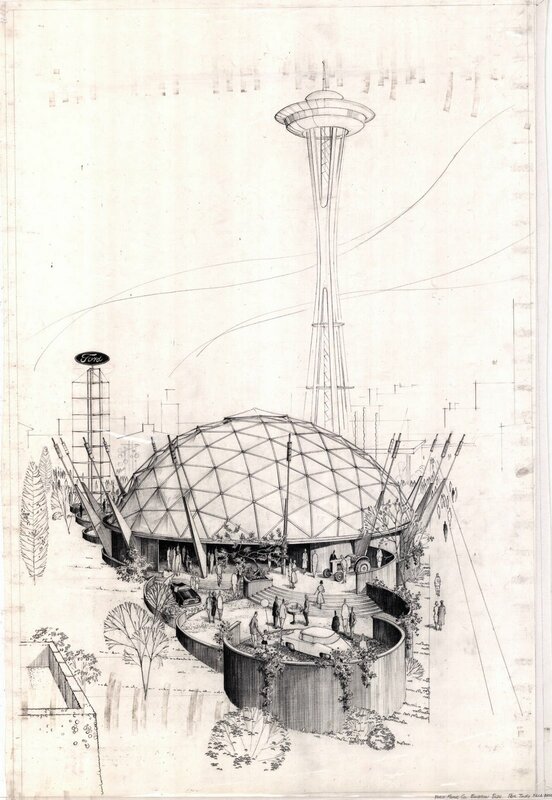 The final image above comes from 'Century 21 - A Glimpse at the 1962 Seattle World's Fair'. 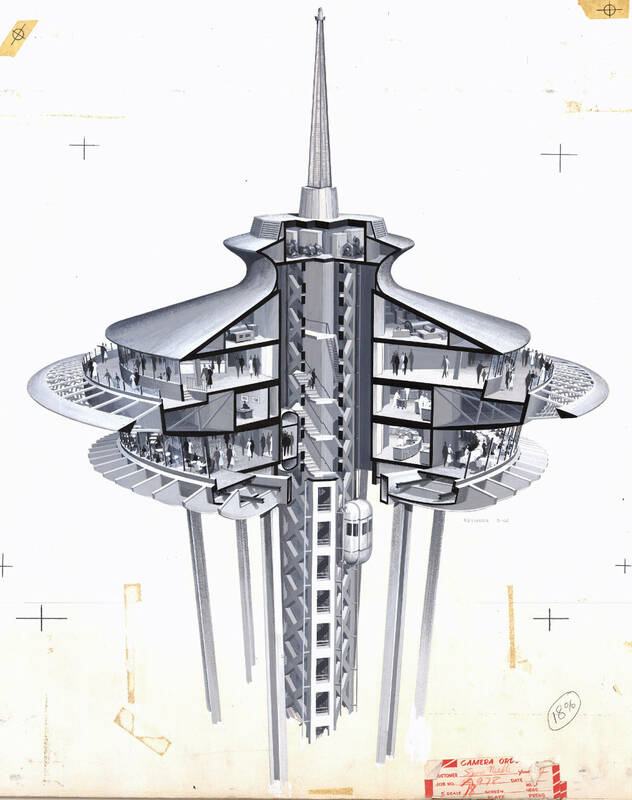 I was a little disappointed that there don't appear to be many decent futuristic diagrams and brochures from Seattle 1962 Century 21 online. Links anyone? No, not a link really. But I was wondering. 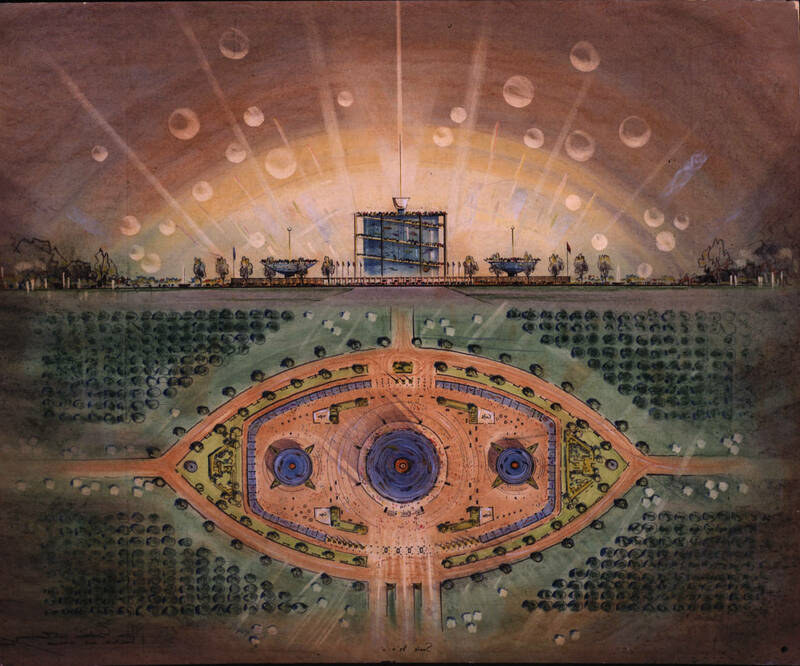 I've read in various sources that there was a World Fair kind of thing in New York in 1936. I know for certain that there was one in '32 but there's nothing about 36. Any ideas, maybe? Would you care to share your technique for retreiving full images from this excellent database? madcynic, I guess I have no idea save for the same info that is brought up for me in a search. There is a mention but I didn't really pursue it. Great post, but the images are from the University of Washington (in Seattle) not Washington University (in St. Louis). madcynic - you are maybe thinking of the NY fair in 1939-40? The one with the trylon and perisphere? I don't believe there was a "world's fair" in 1932 or 1936. 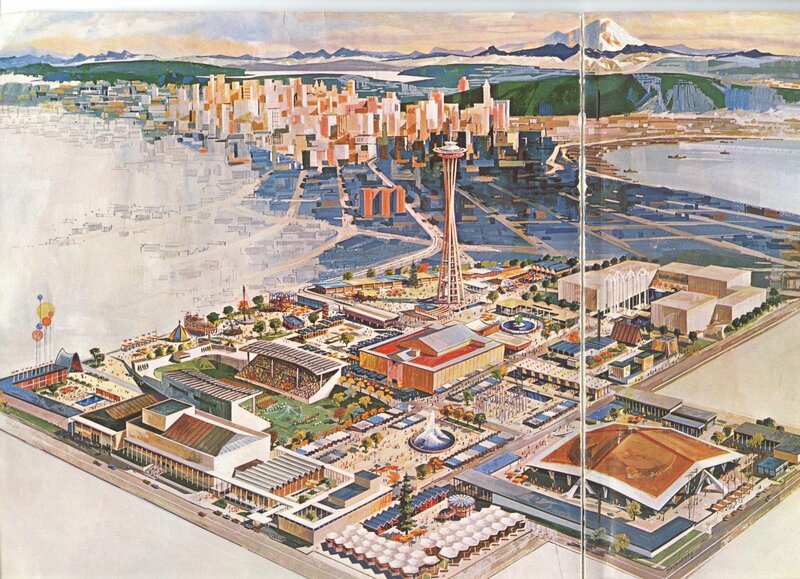 Here's a link to a bunch of Seattle World's Fair. 2) Elvis >receiving a ham from Washington's governor during the filming of "It Happened at the World's Fair". I would like to use two pictures of the Space Needle sketch to spell my name in my business ads: Holland's Opus; A Piano Studio. How do I go about getting the necessary permissions? "To order a reproduction or inquire about permissions contact: photos@u.washington.edu. Please cite the Order Number." 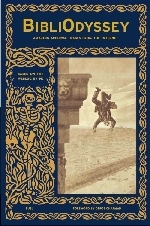 But this material will definitely be under copyright, irrespective of whether the University of Washington Libraries provide digital or hardcopy reproductions. In other words, it will be necessary to get permission from the original architects or their heirs, I'm sure. I really love these traditional architectural renderings.